First, you have to complete the story mission “Money Lending and Other Sins” to unlock Camp Upgrades and the Ledger. 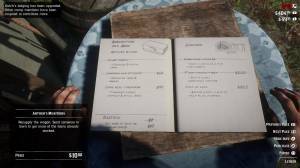 Next, you’ll have to prioritize upgrading Dutch’s tent and Arthur’s tents, which will cost around $555. 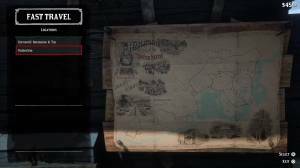 After upgrading Arthur’s tent in the gang’s camp, you’ll be able to fast-travel to specific locations you discovered before by accessing the region map in the side of Arthur’s wagon. 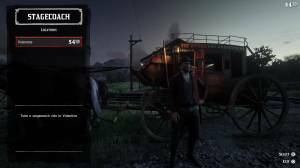 While the fast-travel is free using this method, you can’t fast-travel back to the camp so you either have to ride back to camp manually or ride stagecoach or train. Also, you can fast-travel via stage coach in major towns though you’ll have to unlock more regions and key locations before you can use it. The fees will depend on your current location to the destination. It may be expensive at first but once you have access to more cash, you can use it often for convenience. Stage coaches have certain operating hours so they may not be available all the time. Trains are somewhat consistent though they can only take you to stations and locations along the route. 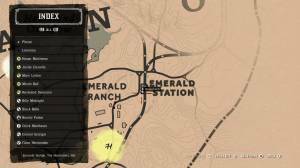 When fast-travelling, your horse will be conveniently located near the station or stagecoach terminal you arrived. If your horse is carrying stowed carcasses or large pelts, you’ll have to pick them all up and stow them again to your horse. Comments for How do I fast travel?